Scotland, and the rest of the world loved to see Marc Austin keep pace with the Brownlee Brothers at the Commonwealth Games yesterday. 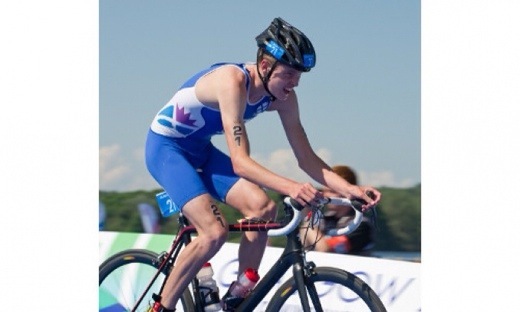 A strong swim and a breakaway in the early stages on the bike leg by the 20-year-old gave locals hope that a Scot might join the best in the world (well the commonwealth anyway) on the podium at Strathclyde Country Park. But it wasn’t to be and after a valiant effort keeping up, shouted at by the ever-aggressive Alistair, Marc fell off and was swallowed up by the chase pack in the second half of the ride. It didn’t take long for the cameras and commentators to forget about the young Scot who finished 22/ 27. He clearly blew out after putting such an amazing swim and ride. In the end, the first Scot home was David McNamee in seventh with Grant Sheldon in 14th. But who will remember them? No one. We say well done Austin for having the balls to have a go. It reminded TriReview of Alistair Brownlee’s first Olympics in Beijing where the young rookie led the run before blowing up and dropping back. Alistair made a name for himself there and it looks like Marc has too. Picture and quotes from TriScotland.